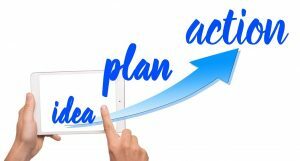 Despite over 30 years of positive promotion a large number of businesses do not have a business plan or strategy. Yet having a strategy enables the business to decide where it wants or needs to go. And then achieve that objective over a defined period. Just such a case was the CATS Faculty of the University of Luton in early 2002. As a former Technical College, Luton had amalgamated to become a College of Higher Education. Then in 1993 it became a University when it’s alleged it tried to become a Poly only to be told they were all becoming new universities. Universities were distinctive by the range and scope of their research. CATS had little research. It soon entered a downward spiral of cost-cutting and department closure as it tried to create a distinctive niche. In 2001, the university was in serious trouble. In 2001, CATS had won two ESF training projects and a HE Teaching and Learning project. The training projects were seen as a way to generate money to continue to employ lecturers with a mix of degree students and training beneficiaries. The problem in 2002 was that all three projects were failing to deliver. Perhaps not a surprise when 2 of the 3 related departments had been axed as resource heavy courses by the university. Discussions with the Dean made it clear that the business objective was to retain staff and stabilise the business. The need was to explain this tactfully to a department where 95% of staff were not engaged in any income generating research or training activity. The policy was to make non-student income be seen to be good; and a high priority for departments and individuals, however small that income. Universities typically have complex systems of checks and balances to enable academics to pursue their life’s interests in particular areas. What academics give up is the time they deliver to students in developing and teaching courses. Faculties, departments and individuals often act as silos. But all are interested in that broad concept of research activities. This can be the ground-breaking reputation building paper or simply the number of conferences attended this year. Research is the currency of universities. Hence simple systems were developed based on encouraging and facilitating research. Those delivering the ESF training got financial support to attend conferences or time for research. Publication was encouraged in any journal to develop profiles. Training of many companies was key to another process. This was the grant bidding system for applied research. First create a relationship with a business and be acknowledged for expertise. Then it’s a smaller step for suitable businesses to tackle one of their problems with staff and students through KTPs or ESPRC CASE doctoral studentships. The Faculty Projects team wrote all bids so it could handle the bureaucracy of the former and win the latter in only 500 words. Any strategy needs to measure milestones along the way. The first in a year was the switch to 95% of the department being engaged in income generating activity. The second was the recruitment to new posts in 3 years as the department stabilised and started to grow. The research profile grew across the Faculty’s diverse departments. It created 2 Research Institutes given the volume and recognition of its research. It was increasingly a major partner in EU Framework research projects. Perhaps as significant, 2 early adopters of the policies, processes and systems became Professors at other Universities. The ultimate milestone was the recognition of Luton as the Best New University by the Sunday Times in 2004. As a result of a clear strategy, the faculty turned around its business by focusing on an objective of survival in a new market. It developed the systems that allowed it to meet those new needs. Then it measured its success.